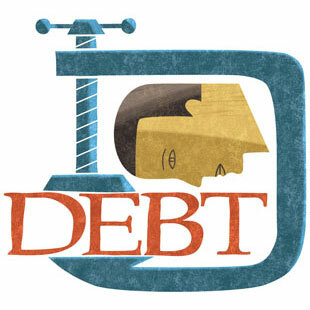 The New York Times, in an article published on June 10, 2009, drew attention to the problems with debt settlement companies, observing that the debt settlement industry is in the cross hairs of the Federal Trade Commission, state regulators, members of Congress and state legislators. The article was timely because New York State Attorney General Andrew Cuomo recently subpoenaed many debt settlement companies as part of a wide-ranging investigation. I wrote about this last month: New York Commences Nationwide Investigation Into Debt Settlement Industry — Many Offers to Eliminate Credit Card Debt are False and Misleading . The services offered by debt settlement companies are very different from debt negotiation services offered by certain law firm such as my own. With debt settlement companies, the consumer makes monthly payments to the company, and the company first applies these payments to their own fees before any settlement is actually made. Debt settlement companies will often sign up consumers who they know, or should have known, would not be able to complete the program. What’s more, the companies keep the fees even when services are not provided! Debt negotiation offered by attorneys, however, is much different and involves negotiating settlements with the creditors. The client typically does not pay any advance fees, other than an initial retainer. In my Long Island bankruptcy practice, I cannot tell you how often we get clients who complain to us that they hired a debt settlement company, only to get into deeper financial difficulty after the company neglected to follow through on their promises of settling debts. Debt settlement companies are unregulated and their are numerous horror stories of these companies steeling escrowed funds and going out of business.